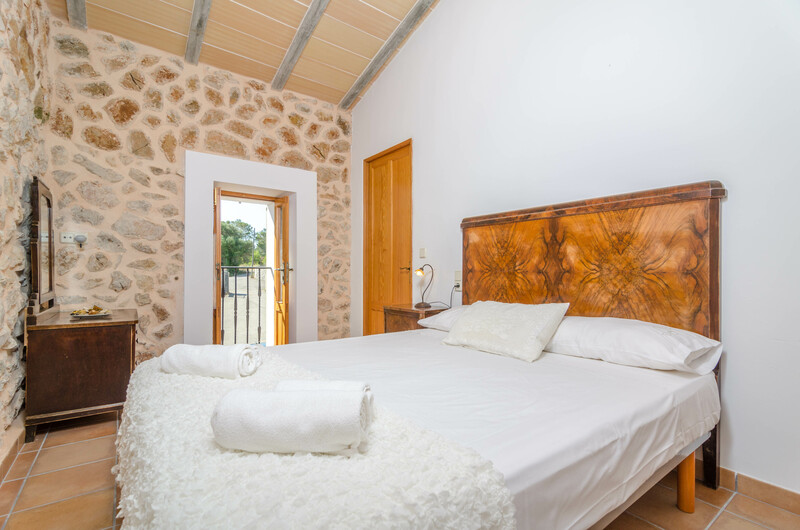 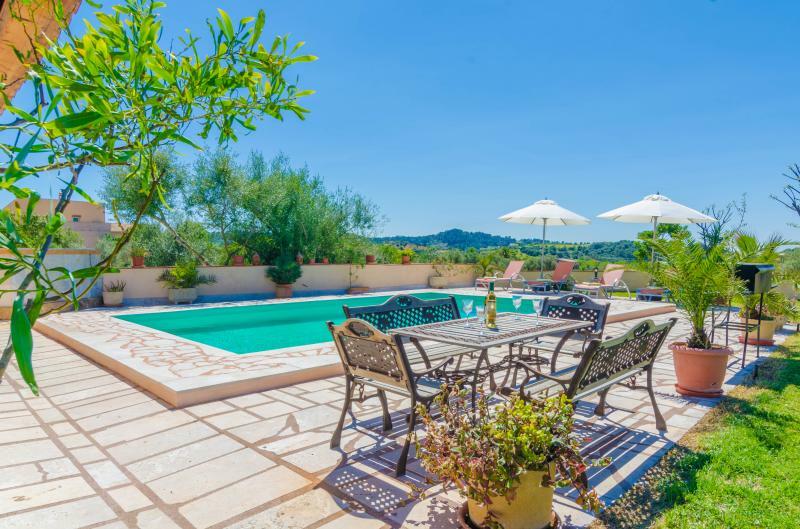 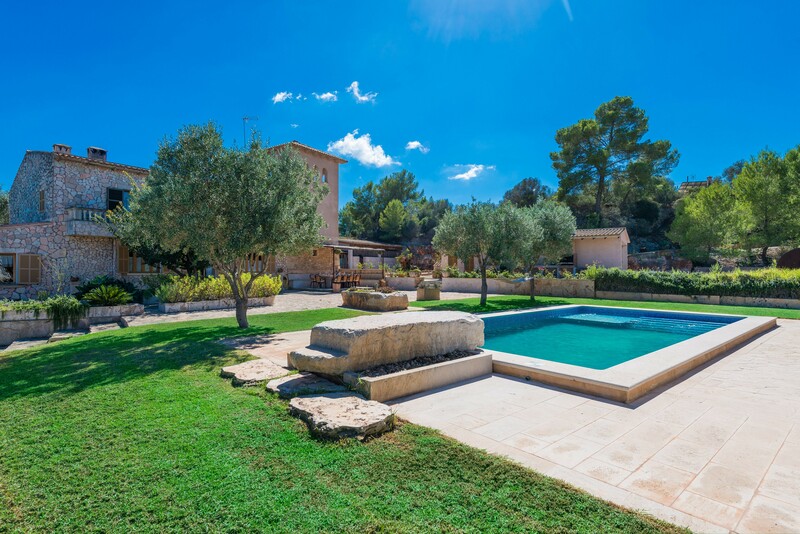 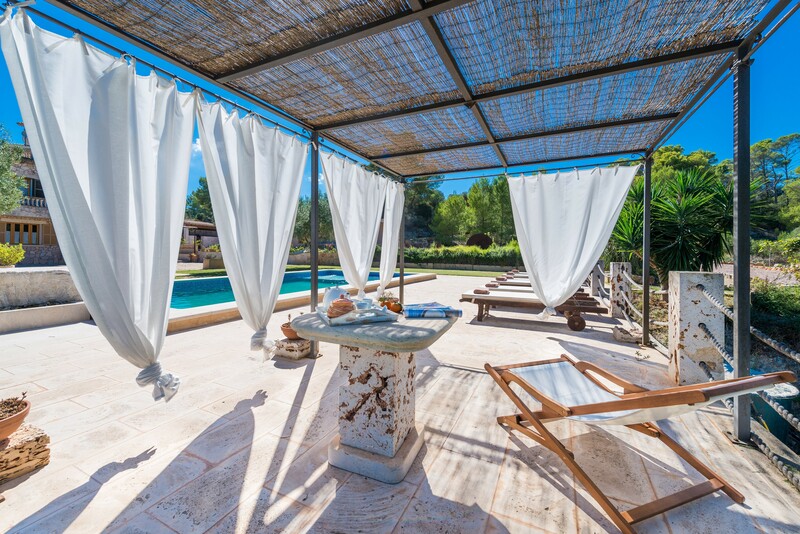 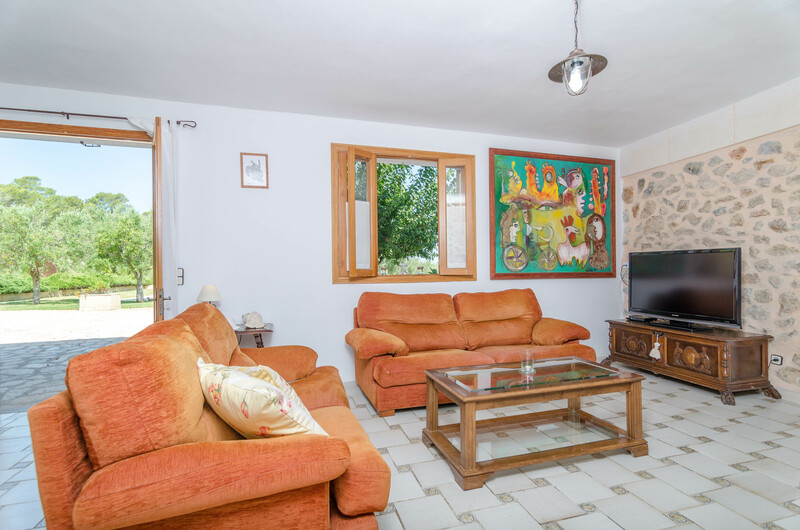 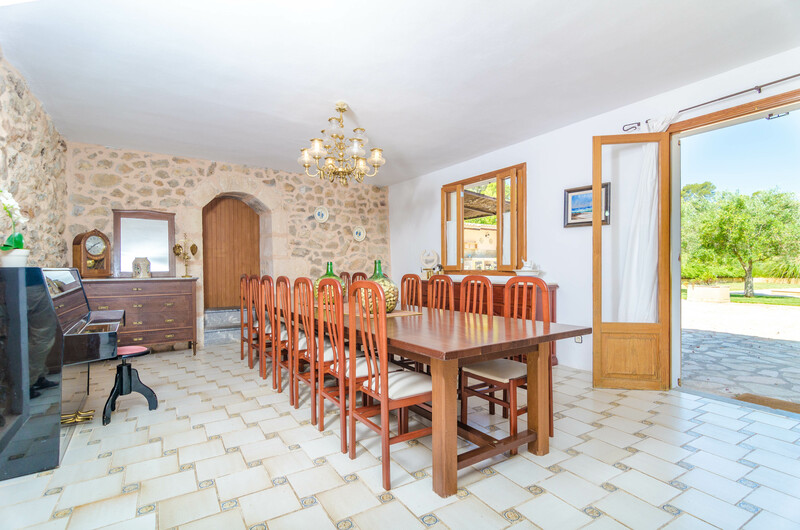 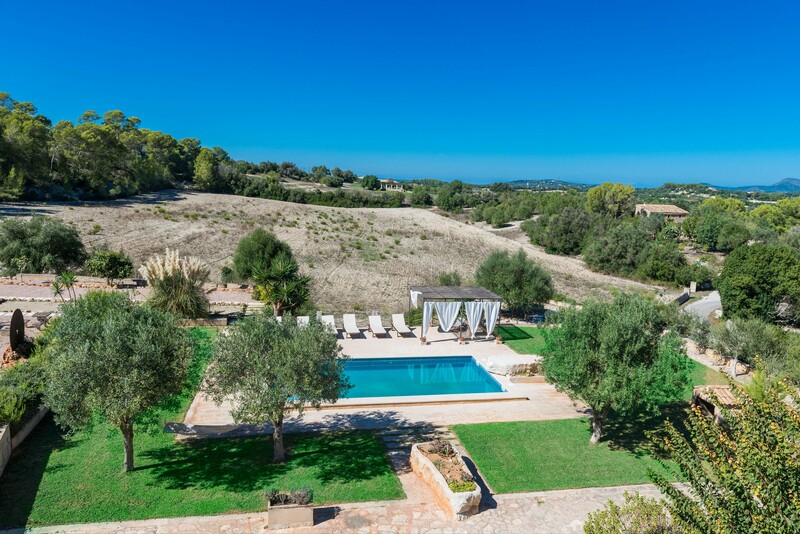 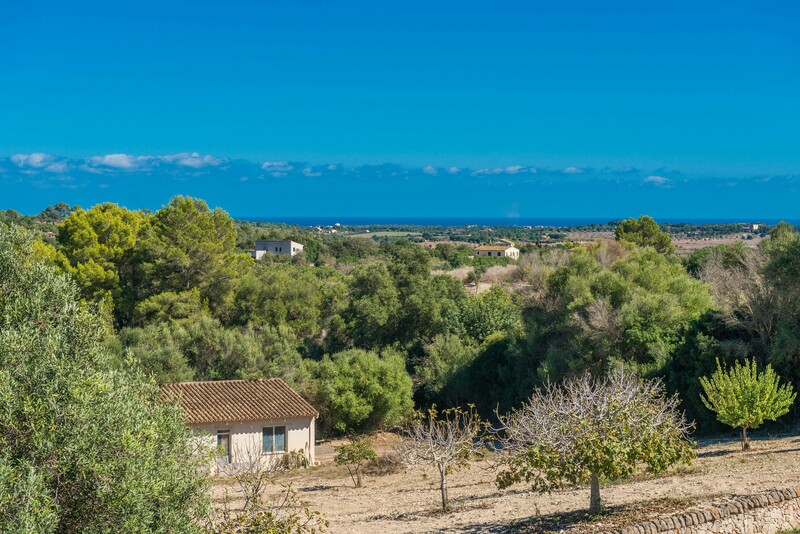 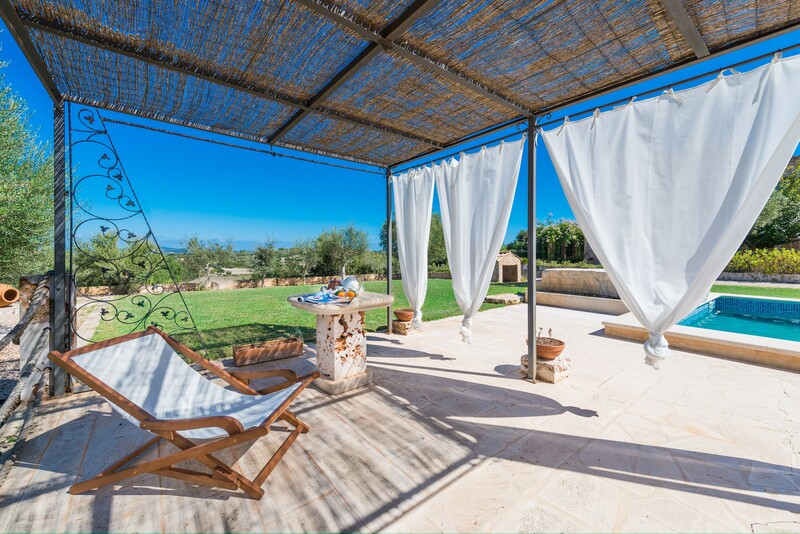 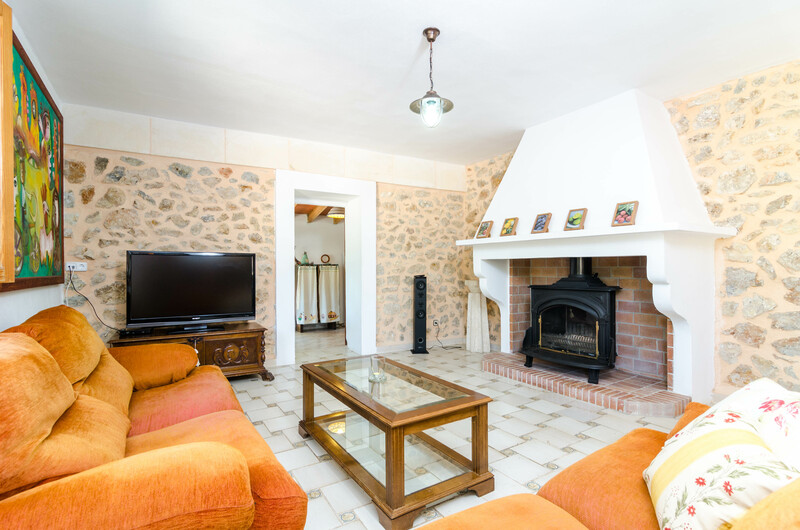 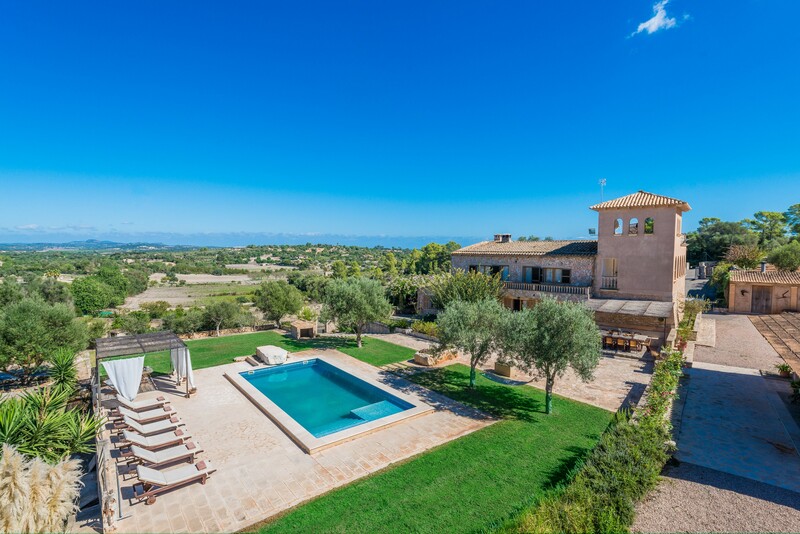 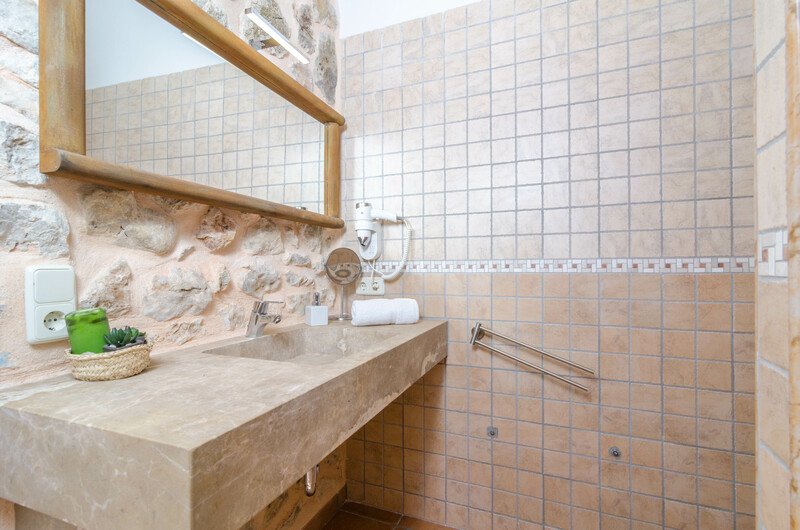 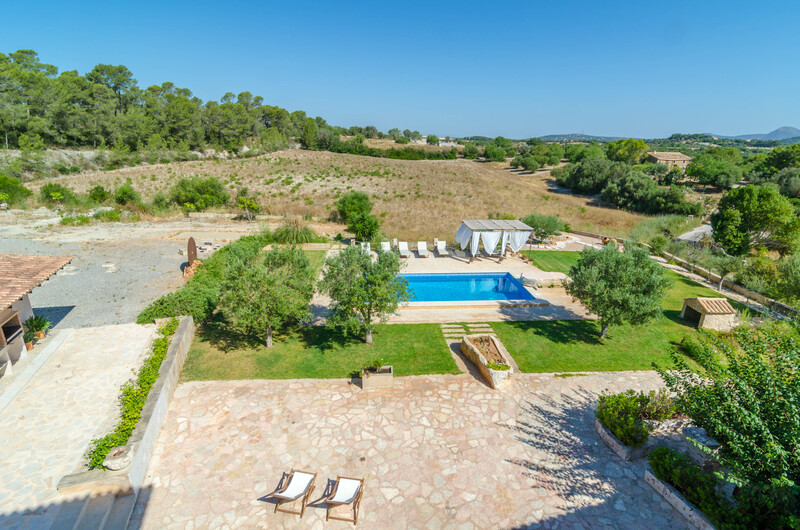 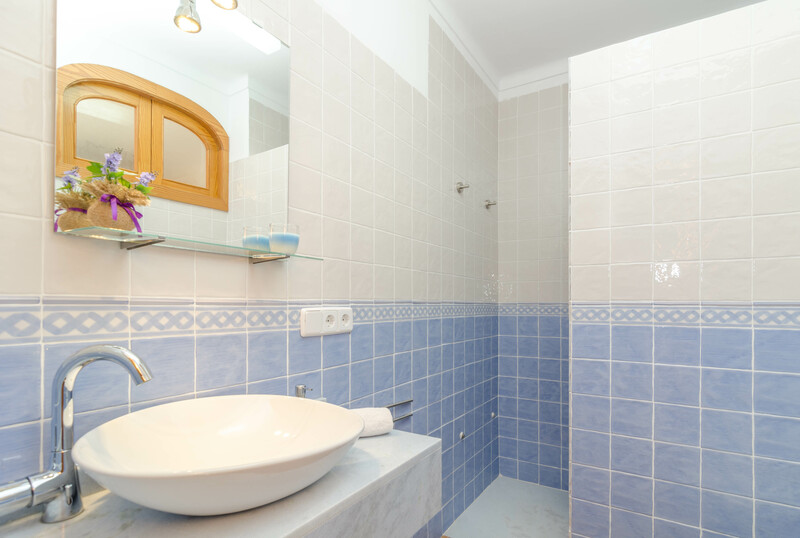 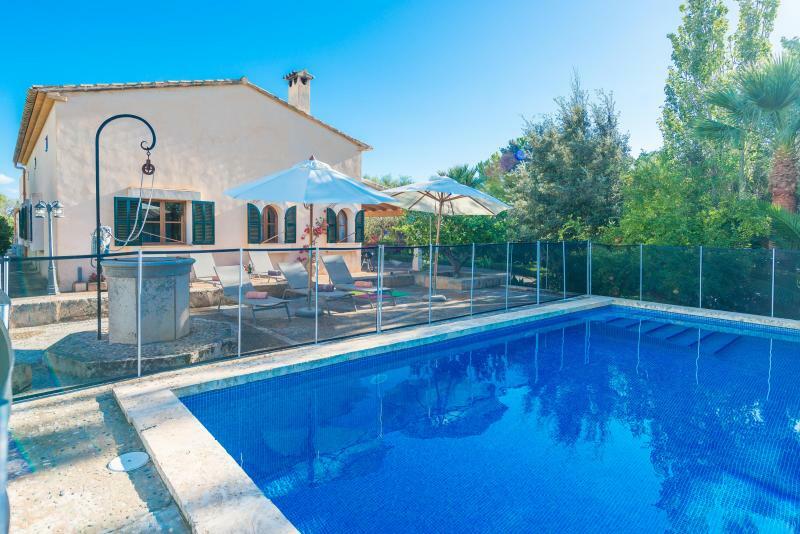 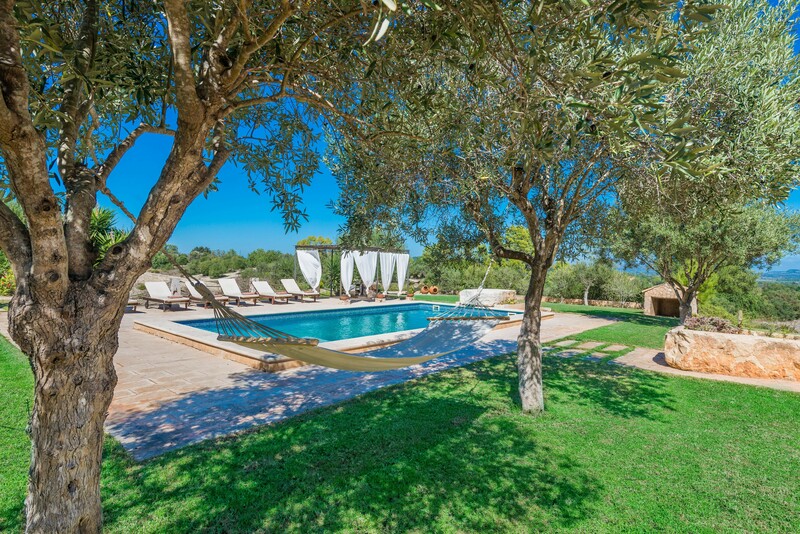 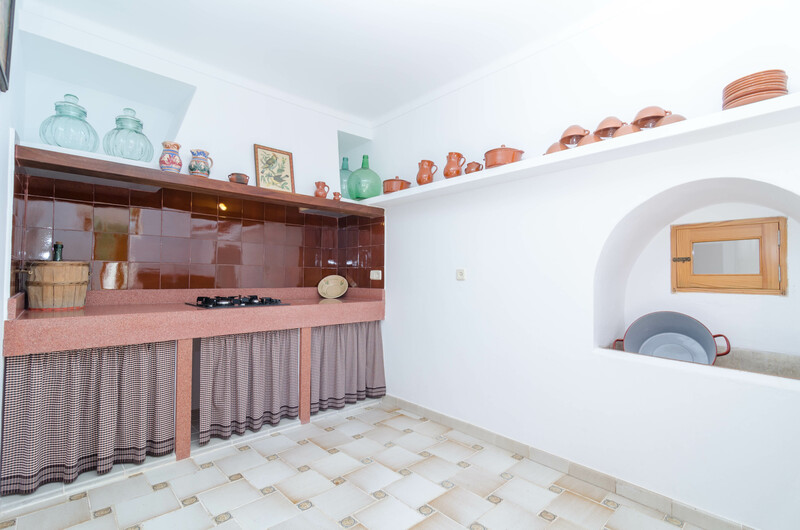 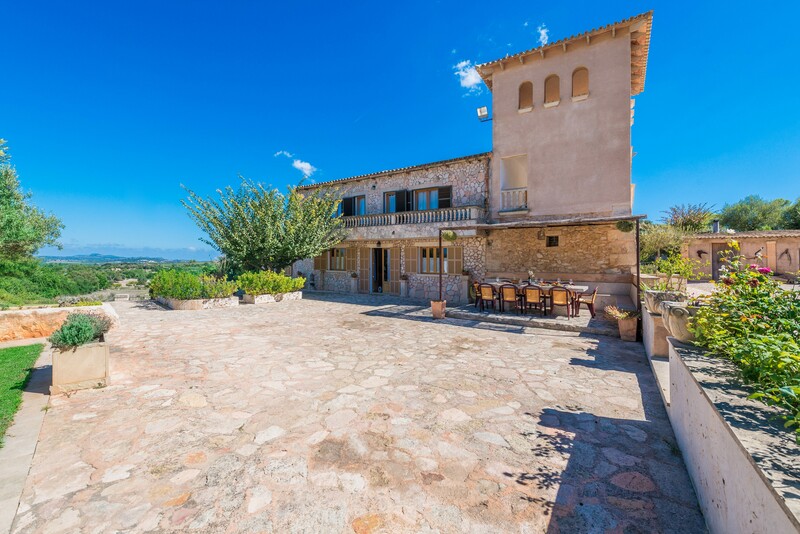 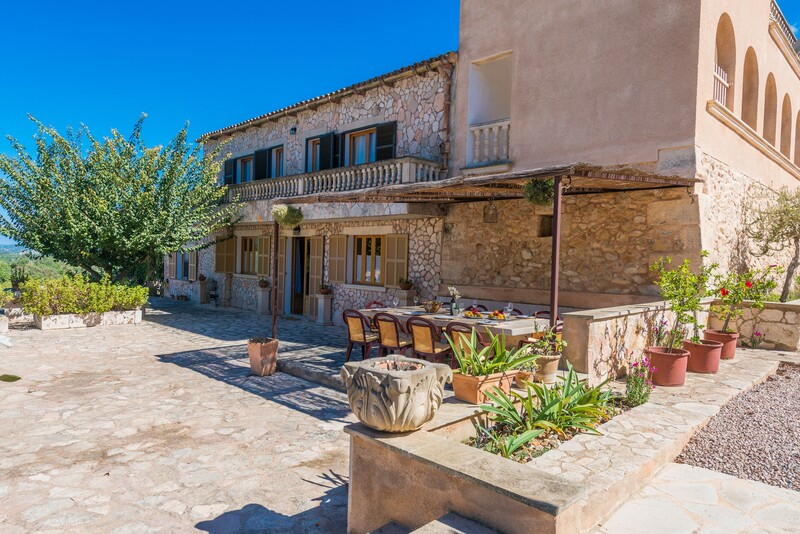 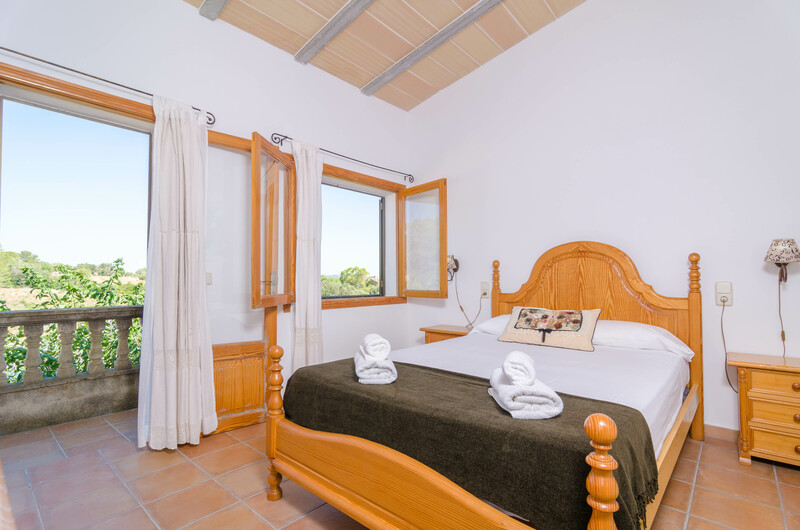 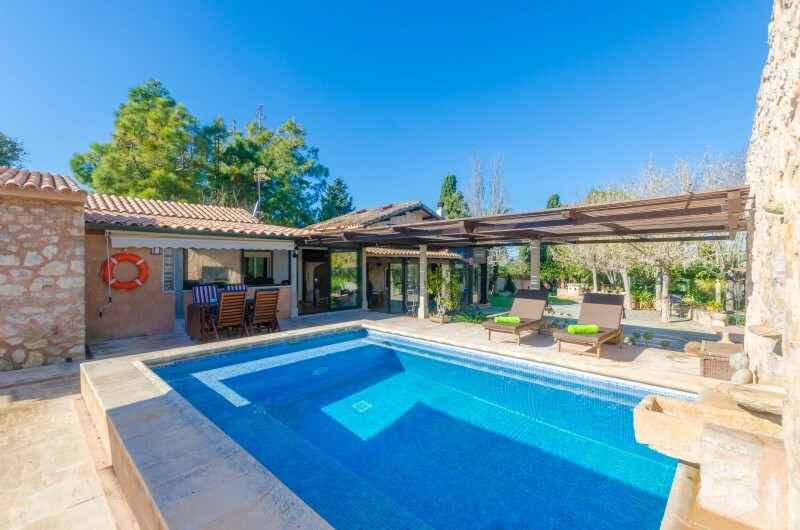 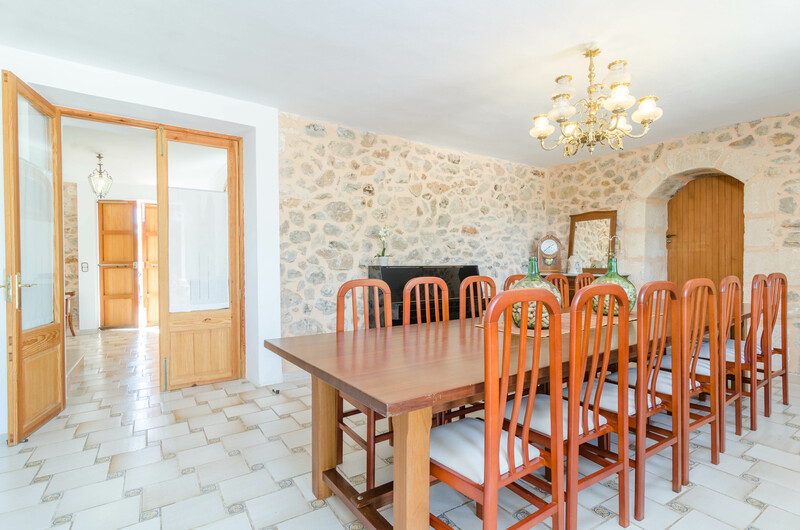 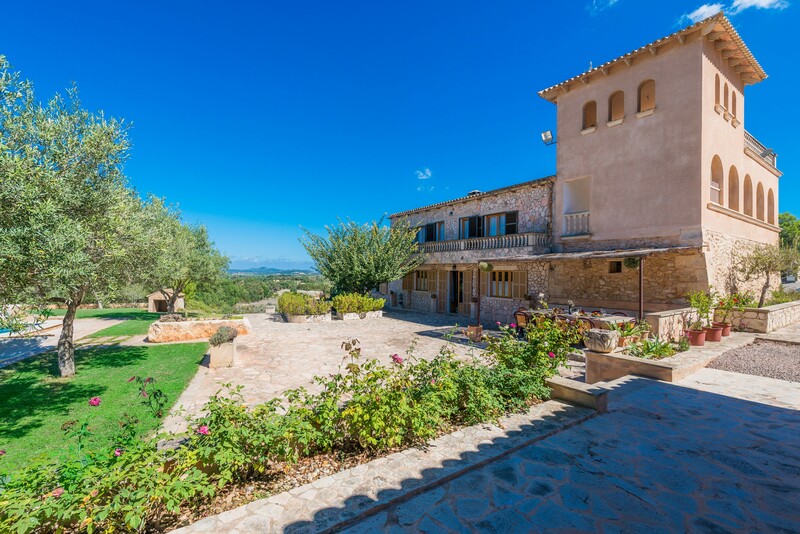 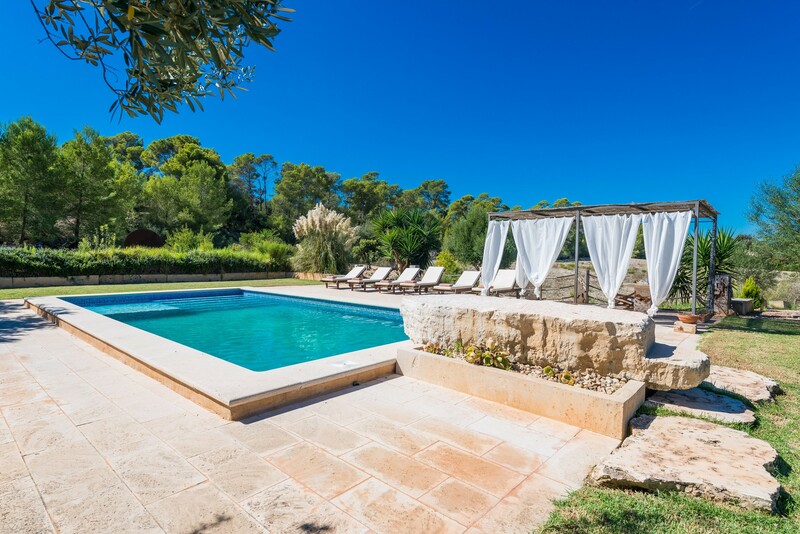 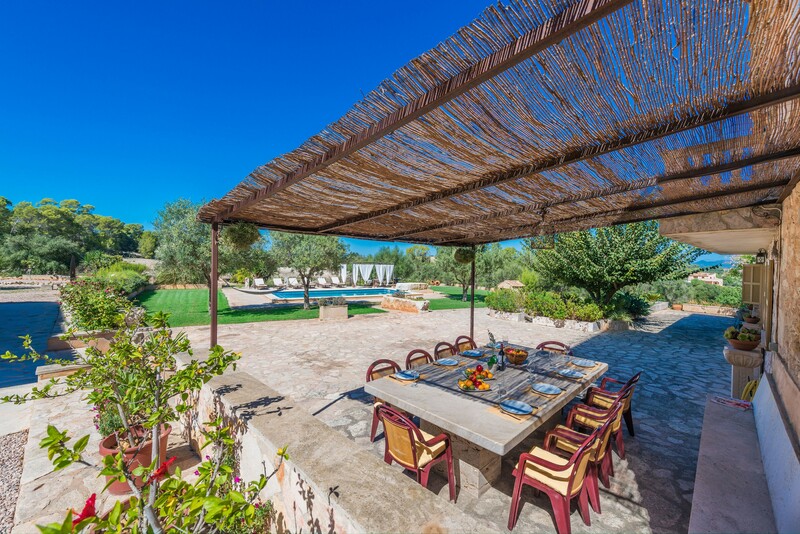 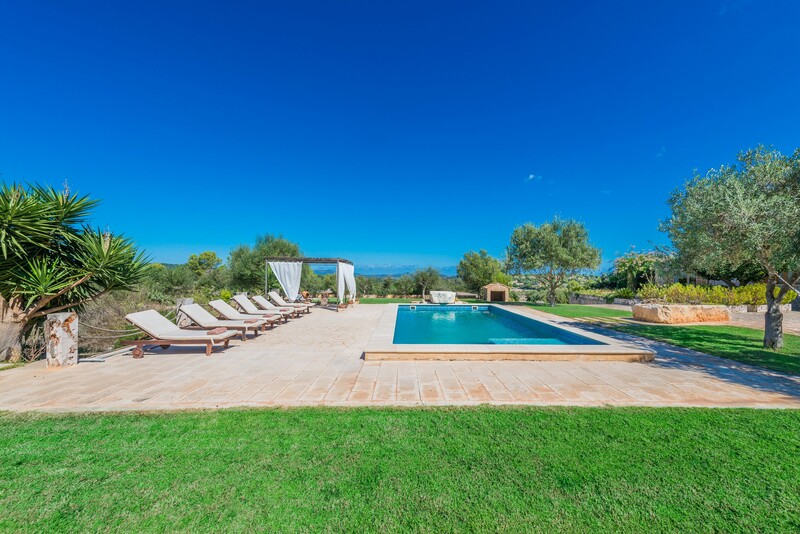 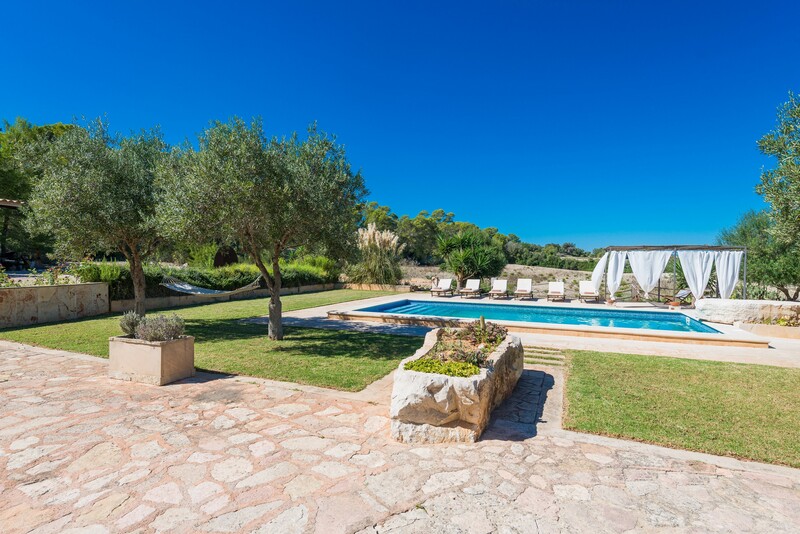 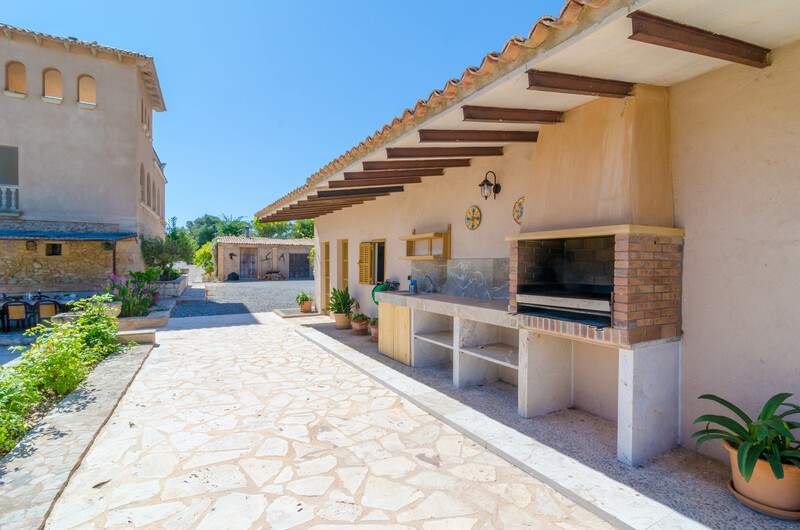 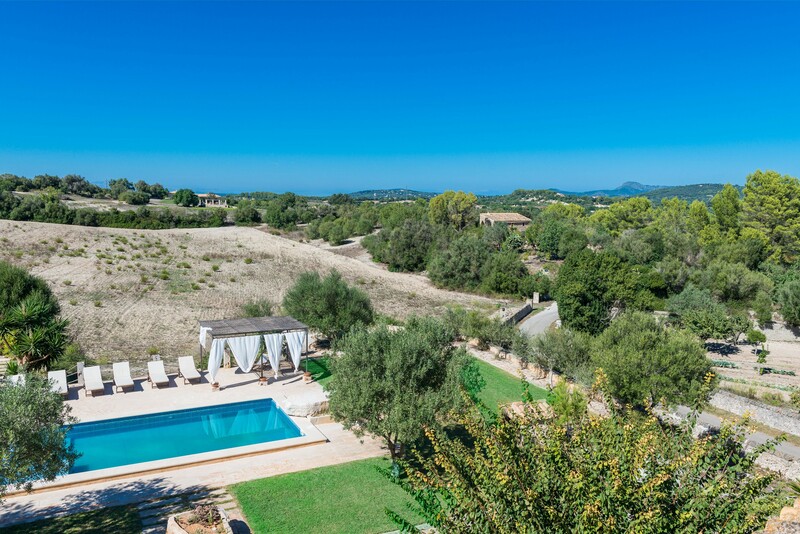 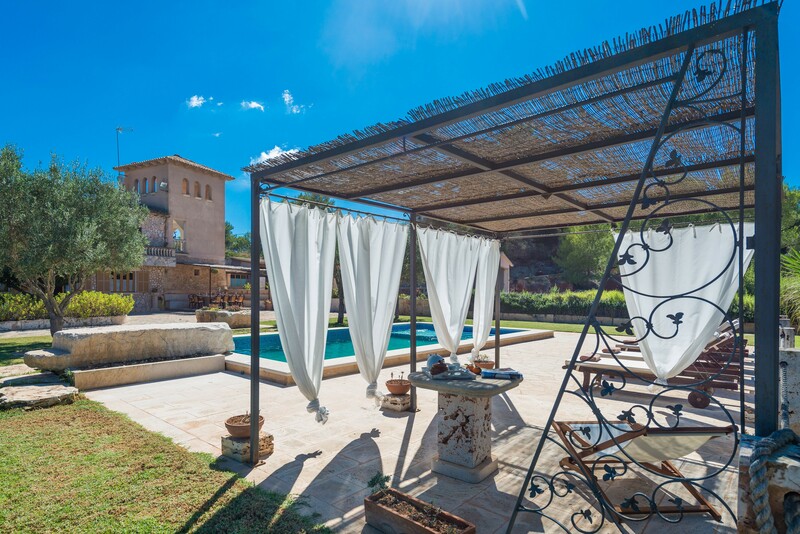 Set in the outskirts of Manacor, this marvellous house with private pool can comfortably accommodate 9 people. 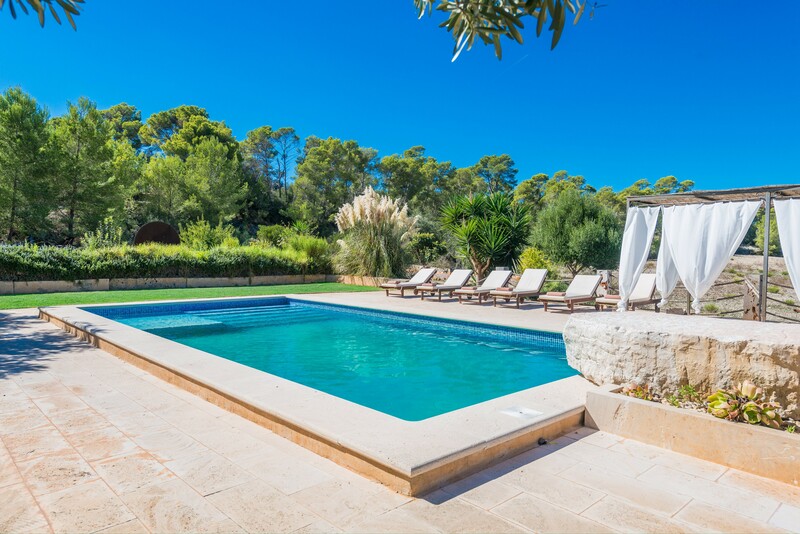 The 9m x 5m salt water pool with a depth between 1.2m to 1.7m is private and surrounded by a terrace with nine sun loungers and an exterior shower where you can spend lazy afternoons basking in the sun. 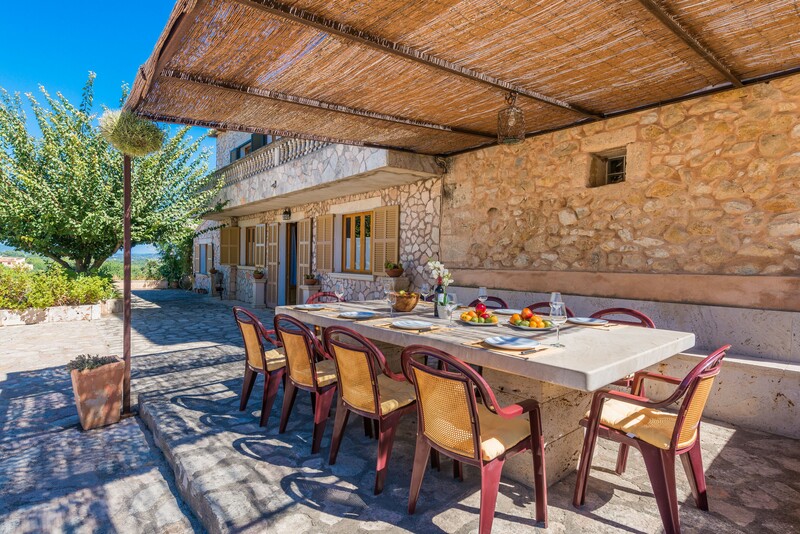 Several terraces are nice for great al-fresco dining with friends and family. 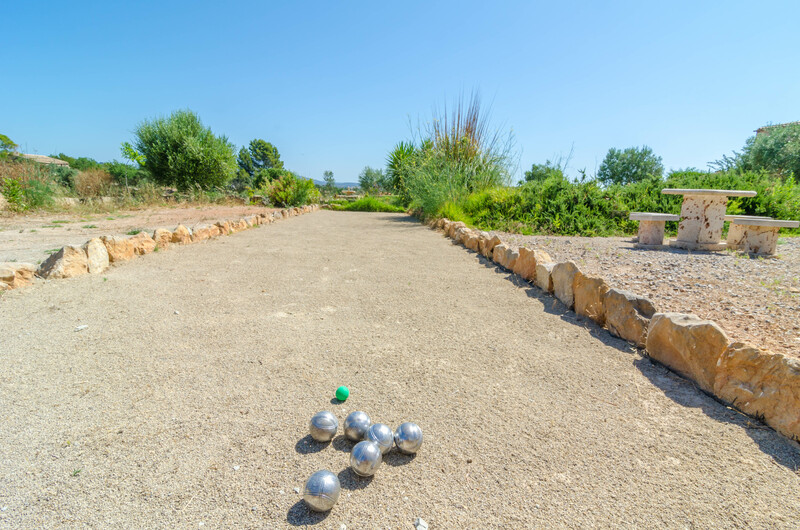 Your kids can play and run around in the nice garden; while you can challenge your family to a Boccia game. 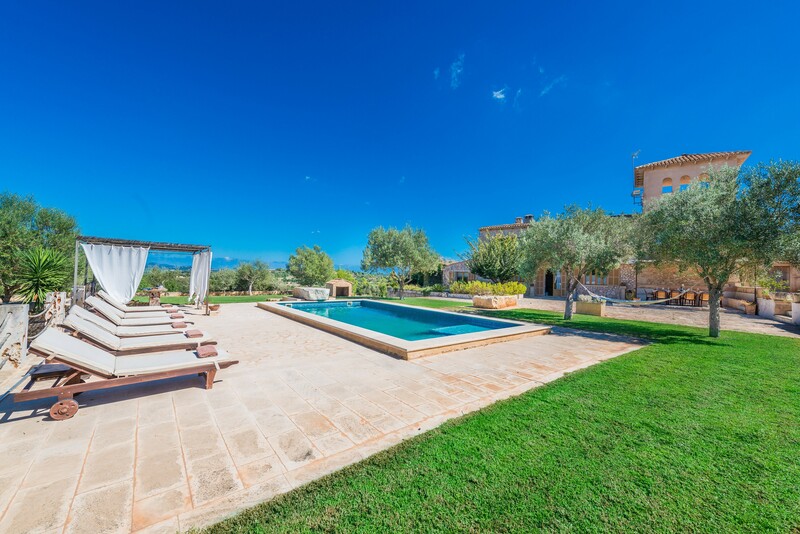 This spectacular villa is totally private and there are no direct neighbours. 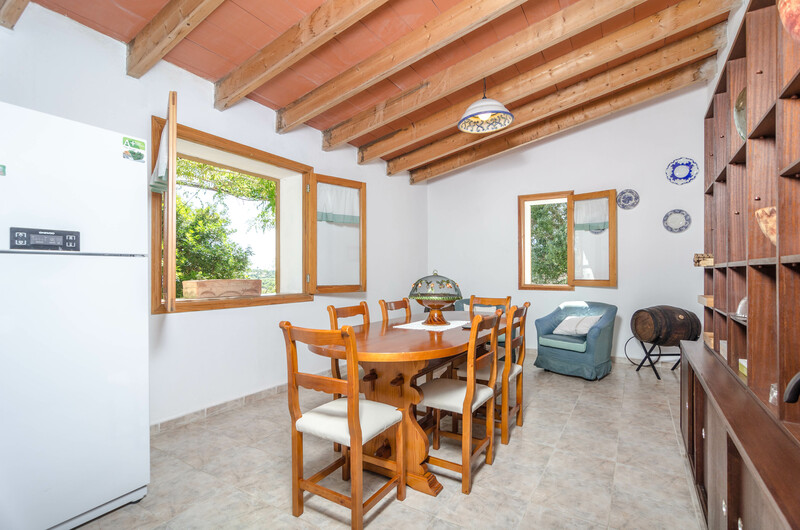 The ground floor offers an ample and cosy sitting-dining room where you can spend your free time reading or watching a film on the satellite-TV. 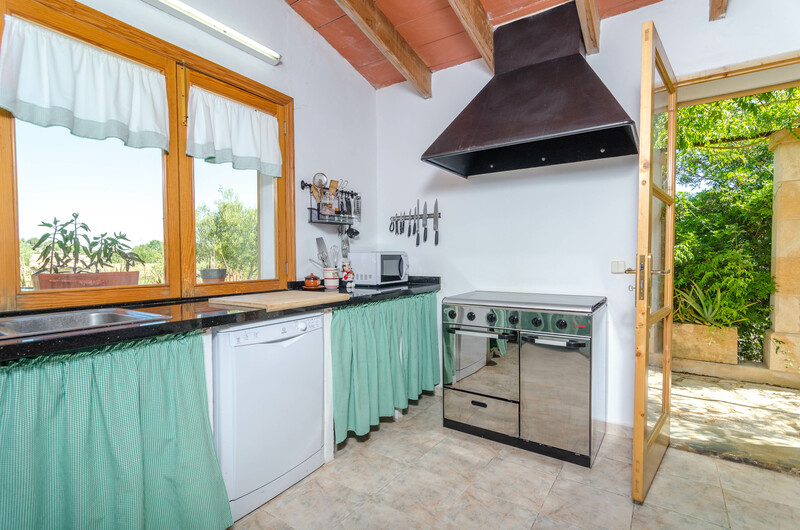 The kitchen with gas/vitro hob has a dining table and all necessary amenities to cook up a feast. 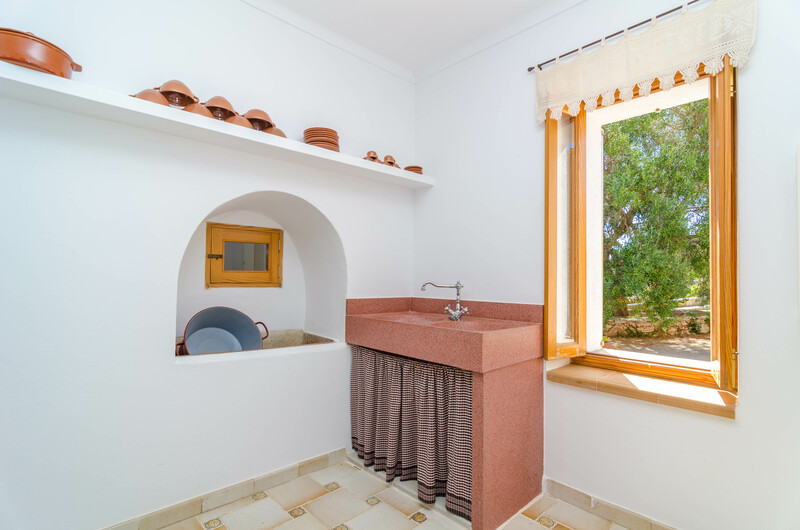 There's a laundry with washer, iron and ironing board. 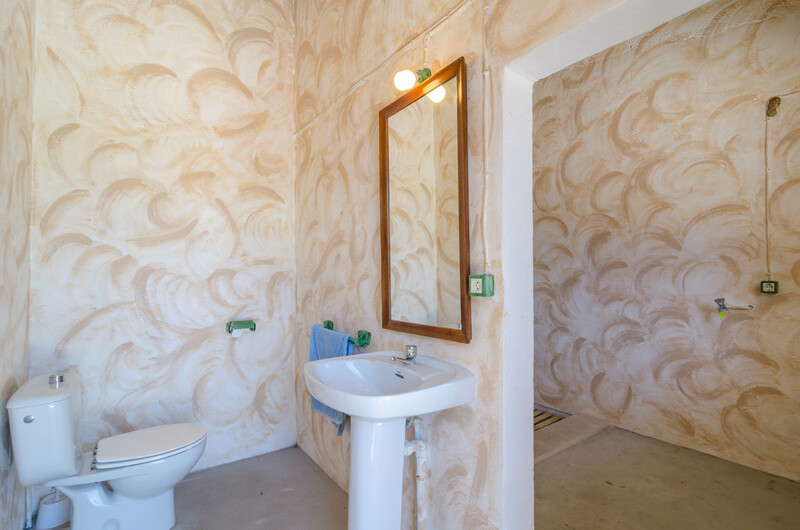 Furthermore, there's a bedroom with one double bed, two shower bathrooms and a toilet on the lower floor. 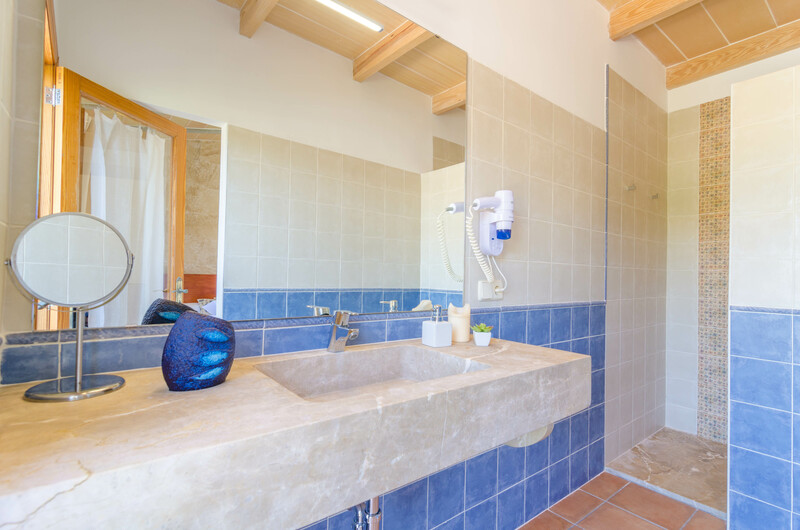 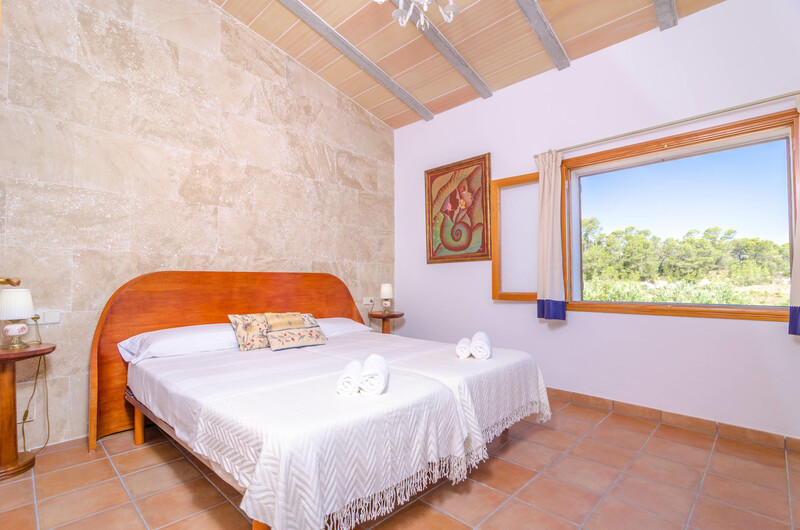 The first floor comprises three bedrooms with a double bed each and one with two single beds; three of them with shower bath en-suite. 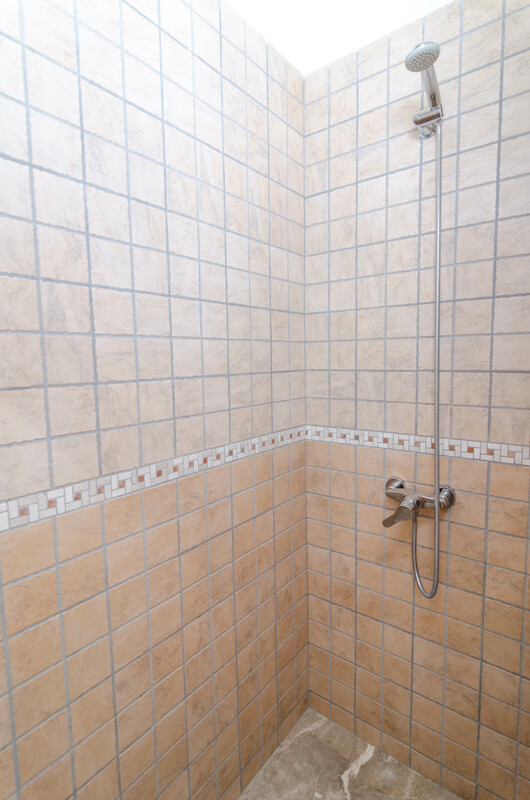 Additionally, there's an independent shower bathroom. 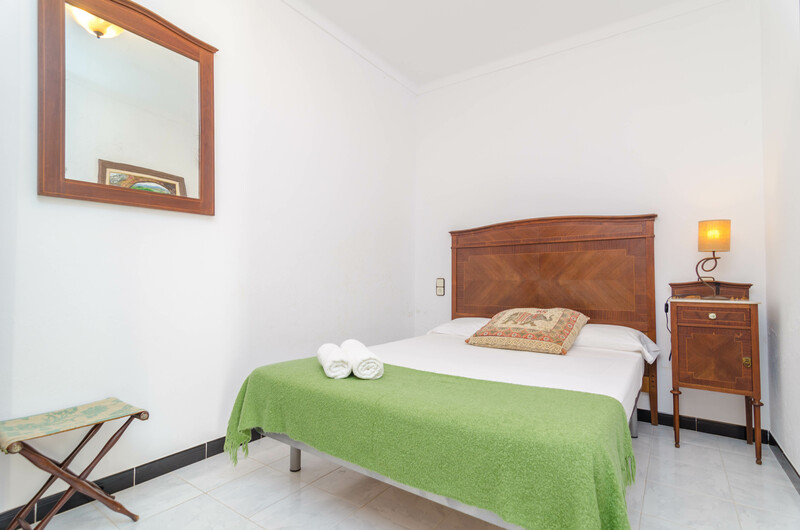 Two cots and high chairs can be provided upon request. 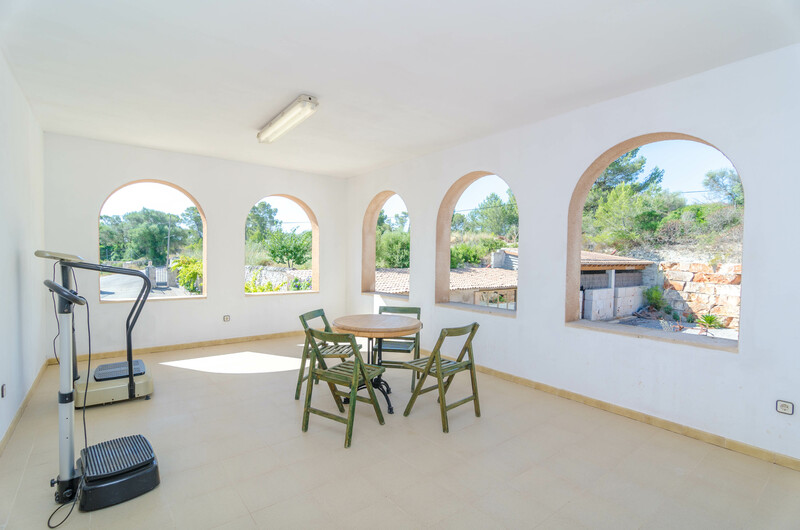 There's a bright, small fitness room. 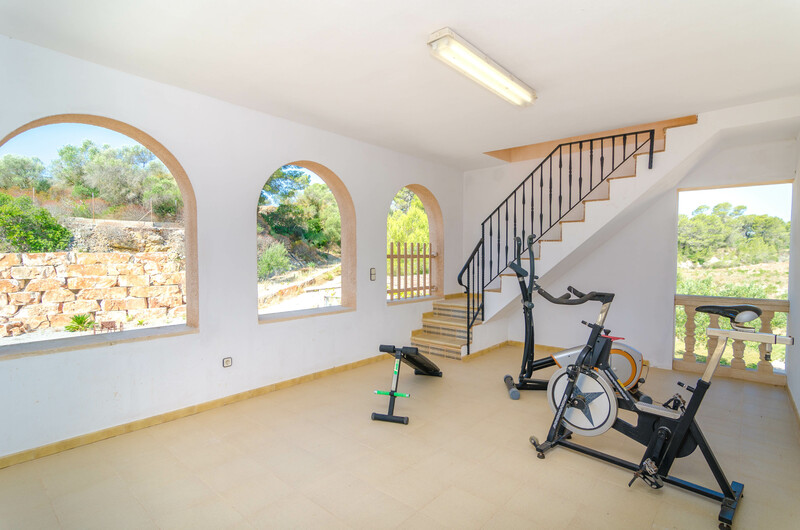 Five fans complete the equipment. 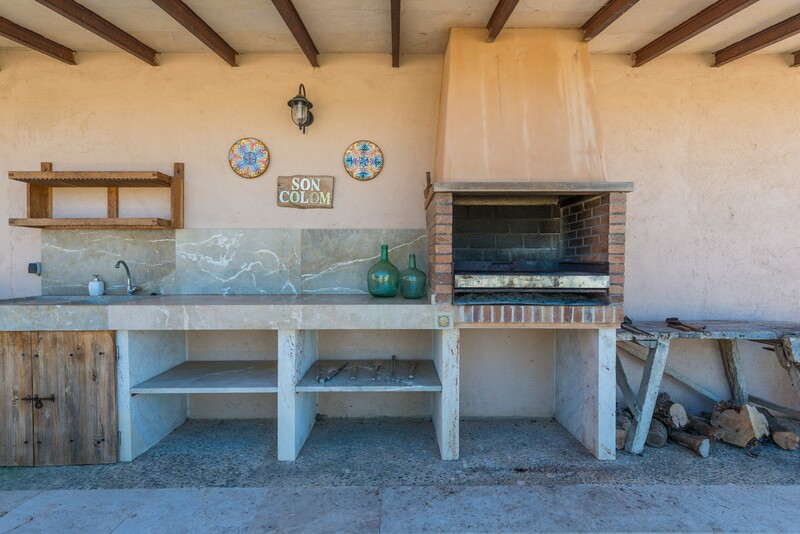 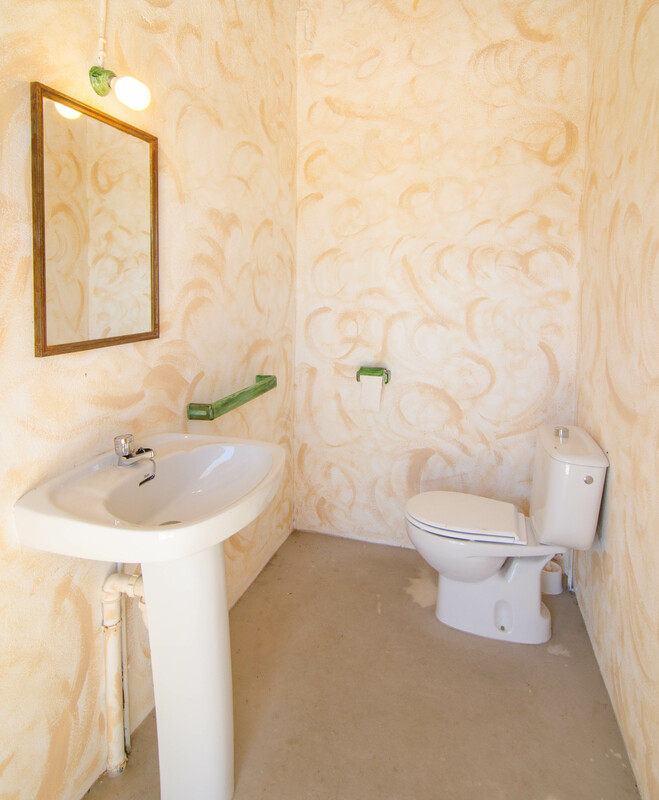 The owner has paid great attention to the environment and has installed solar cells. 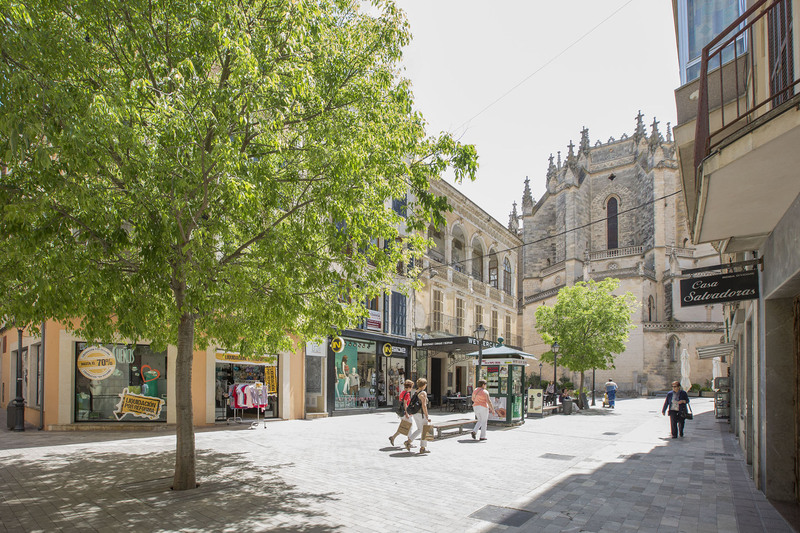 The city of Manacor offers everything you may need during your holiday; supermarkets, restaurants and shops. 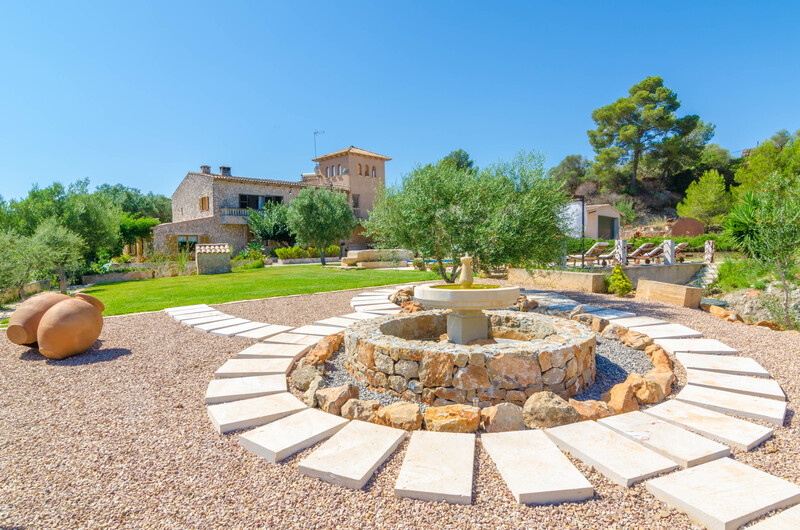 Besides, the city is famous for the pearl factory Majorica. 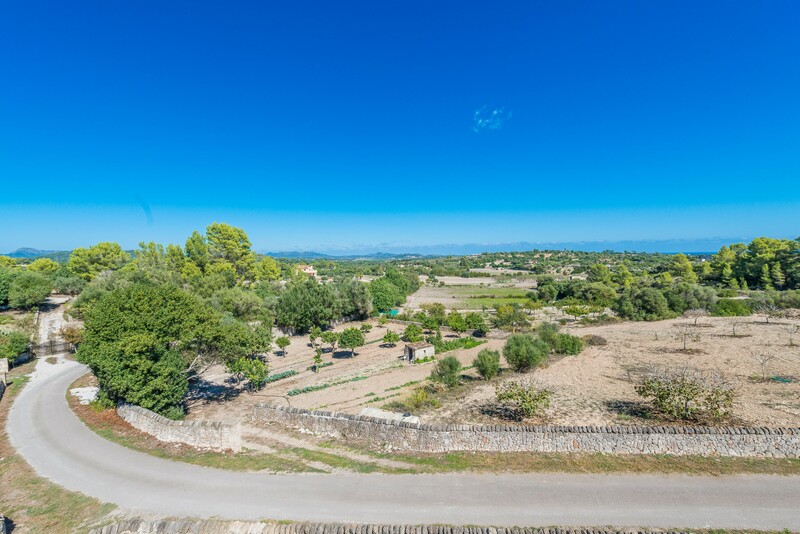 You can visit the Drach Caves with its subterranean lake Llac Mantel. 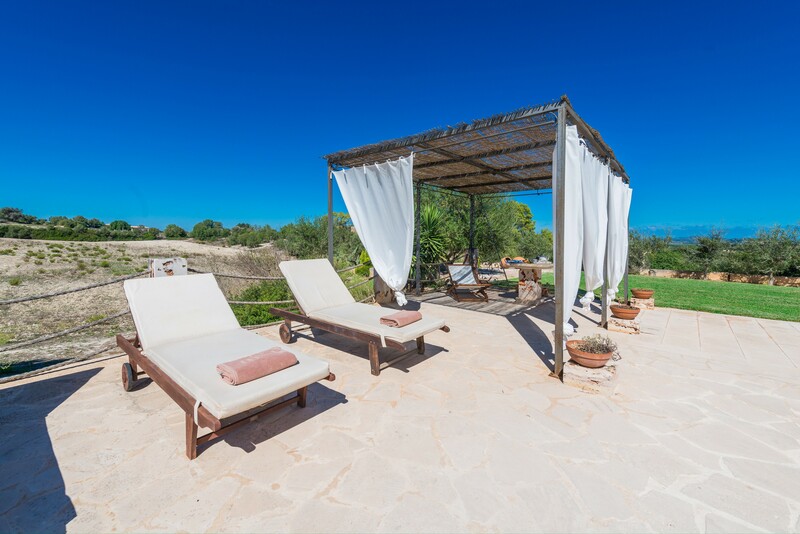 If the beach is what you're searching for, the east coast is full of nice beaches, for example Cala Mandia-Cala Anguila, Porto Cristo. 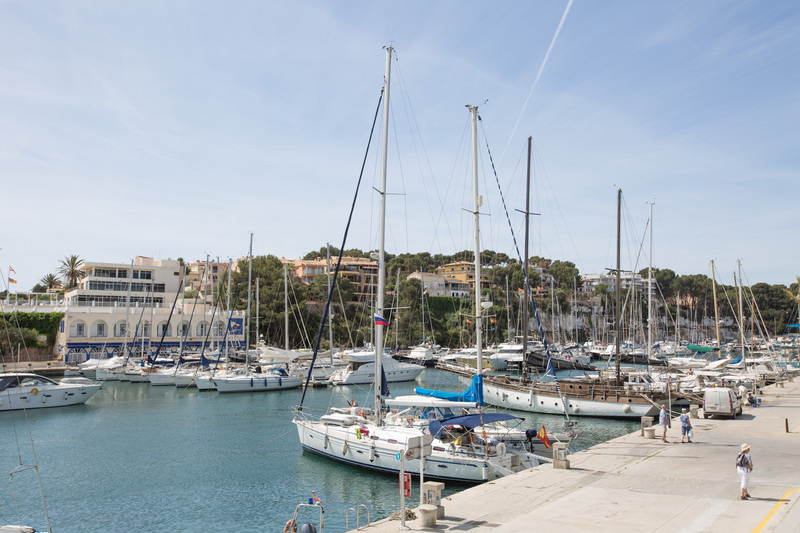 Cales de Mallorca and the beautiful Cala Varques, a natural beach accessible by foot. 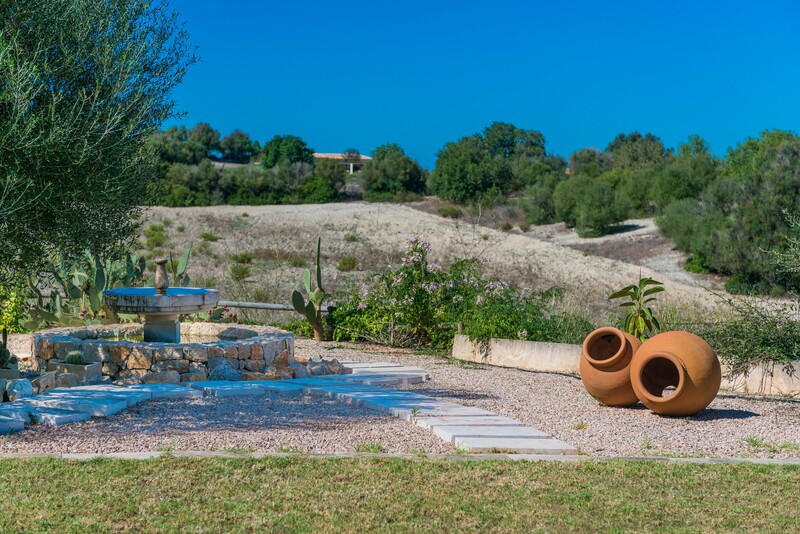 Pets up to 15 kg are allowed. 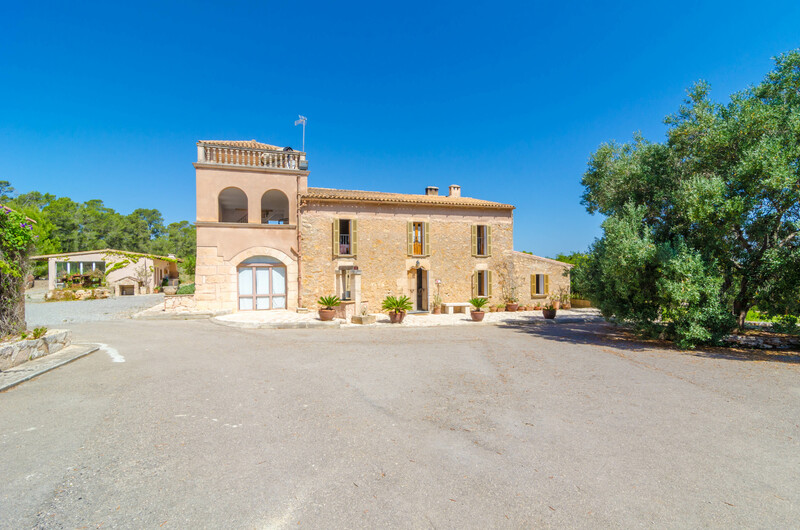 Hospital: 6.6 km - Manacor.